It is not one seen at a local Volkswagen car dealership, but the curtain has been raised on the new Golf GTI TCR - the race version of the compact classic from Wolfsburg, which generates up to 350hp. The updated Golf GTI goes into new global TCR season as defending champion. And it is not resting on its laurels because it will feature new aerodynamics to further improve the car for the new season. Following the first full season of racing, in which the Golf GTI TCR won 17 races and two championships, modifications have been made to the car's outer skin, while the technology under the bonnet has also been fine-tuned. 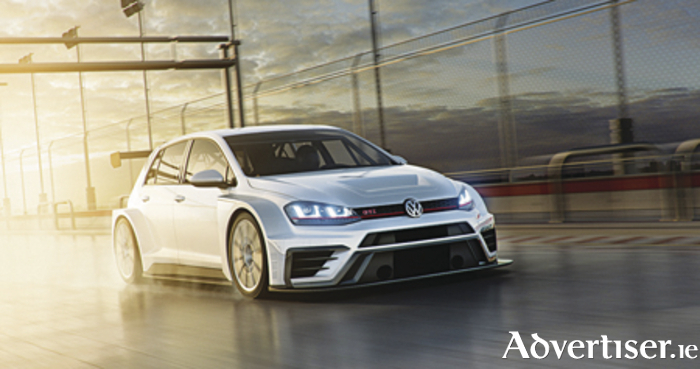 The Golf GTI TCR, which is available in race trim from €90,000 plus VAT from Volkswagen Motorsport, is based on the road-going Golf GTI. Volkswagen says the GTI TCR is aimed at professional teams and drivers battling for race wins and championships at racetracks in rapidly growing TCR series around the world. Page generated in 0.1039 seconds.